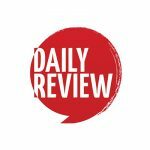 ABC's Michelle Guthrie hits back at Turnbull and Hanson's media reform | Daily Review: Film, stage and music reviews, interviews and more. 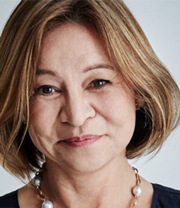 ABC Managing Director Michelle Guthrie has taken aim at a deal struck between the Turnbull government and One Nation to pass media reform changes. Guthrie was referring to media reform legislation that’s due to come before the parliament in the next few weeks. It will insert a requirement into the ABC charter that the broadcaster be “fair and balanced”, and force the ABC to publish the salaries of staff earning more than $200,000. The legislation is part of a deal with One Nation, which has been hugely critical of the ABC following an episode of Four Corners devoted to the party’s internal machinations. She also fired back at CEOs and senior management of commercial media organisations, such as News Corp, Fairfax, Nine, Seven and Ten, who have recently criticised the ABC’s move into the digital space and other areas which commercial organisations would like to dominate. Read Guthrie’s full speech here. Should be a fair & balanced source of news & information. Political opinions, potential conflicts of interest, salaries, funding arrangements, expenses etc should be transparent & made available to the public. Should management & or employees have an issue with same, it’s simple, don’t work for a publically funded organisation. Regarding perceived bias, these people confuse choice of subject for a story as an overt or covert political decision, not just shining the torch into places that have been hidden from view by governments and other vested interests eg “commercial in confidence”…but they want to see ABC staff salaries published…..Gross hypocrisy. And the criticism from a politician who doesn’t even understand the notion of the political process and what conventions it operates under doesn’t bear serious consideration. (you may go now Pauline et. al….intellectual embarrassments). If you like the ABC, as I do, you would be prepared to pay for it. No justification in 2017 for a taxpayer funded broadcaster. No grounds for forcing those who never watch the ABC to pay for it. This is the only issue. Greg, we do pay for it – a few cents a day in our taxes. As to not paying for something you don’t want: I don’t have kids, but I have paid for their schools. For many, many years I didn’t need a doctor, never went near a hospital, but paid for them to be there to be used by complete strangers. I don’t travel to lots of places in Oz, but I pay for their roads, bridges etc.. I cannot abide a significant number of our politicians and certainly didn’t vote for them, but I pay their salaries and golden goose perks. It’s all being part of a society. I lived in the USA for a few years, and would bless my country as I watched serious time being given to the public broadcaster forced into holding fundraising ‘telethons’. I dread any thought of the ABC being sold off, or paid for in a different way. I don’t always agree with all I see on it, but I am extraordinarily glad we have it, as it is – independent and even. I also yearn for it to be as it was – fully funded. Brava Michelle, finally! Terrifying that there isn’t more cynicism and outrage about Turnbull agreeing to this fundamental protectionism One Nation wants in its narcissistic entitlement. Pauline Hanson doesn’t understand democracy or the principle of journalism’s right to examine her policies as well as modus operandi and that alone declares her unfitness for office. However, that middle of the road, proper politician Turnbull legitimizes her hysterical ire is a grave concern. No Malcolm, it is not a little harm done for the greater good. It is cynical and dangerously wrong. We need more acerbic comedy, investigative journalism and commentary examining both the left and right of politics, who, it must be said are engaging in more blatant twattery than I remember. The chopping away of the commercial news media at what is a well balanced ABC TV news station, reveals not the imagined bias of the ABC, rather it reveals the almost overwhelming strength of the MSM. In a properly ordered democracy the ghettos inhabited by far right wing commentariat, home of rancid sloppily researched guff put out by nineseventen would be farcical. And people such as Ray Hadley, Alan Jones et al aided by their employers, (the Murdoch family anyone?) we, the electors are watching the LNP effectively destroying this woebegone country. Even a former Murdoch staffer, appointed by the Coalition government to continue the rundown of our independent broadcaster, can only take so much. You would have to be somewhere out on the lunar right to think the ABC has a left-wing or green bias. Pandering to the Coalition, they have at least one speaker from the far right on Q&A every week – the Murdoch press or business propaganda units – while they have scientists on once a year and environmental activists once a blue moon. How often does anyone on the ABC question the delusion of unlimited growth? The Federal, right wing, government has done it’s best to gut the ABC for being the most balanced channel we have. Of course, balanced could not possibly refer to this government, nor their lap dogs. Yes Michelle Guthrie has vindicated her appointment by such a strong and accurate defence of our national treasure. For Suzanne. Try getting a hard or even a soft left agenda with the likes of Ray Hadley, Alan Jones Chris Smith or other Liberal (i mean capital “L” Liberal) shock jocks? You wouldn’t even finish the first sentence. Commercial radio is tripe and commercial TV is marginally better but neither are a substitute for the ABC which goes out of its way to receive all opinions including many which I disagree with on the left , right and anything outside or in between of these. This is why it is a superior product in need of more funding – not less. I’m glad Michelle came out with such a swingeing assault on the lies and dirty deals done by governments. Typical Turnbully and co to shore up their mouthpieces and bail out commercial entities that can’t run their own business! ($30m for Fox sports???). Michelle has done some pretty drastic things since she came on board but at least she’s defending the free speaking of the ABC so hated by proponents of ‘free speech’. As long as it doesn’t hurt THEIR feelings, that’s OK eh?? She is so right about the digital challenges to commercial entities – Facebook Google etc. Typical also of the hypocrisy of a free market government and it supporters who run wailing to the nanny state if they can’t compete. The ABC is simply more advanced, smarter and more innovative. RN – the ideas network as I said 20 years ago – and it still is! I think the ABC has been forced to move too far to the right now. The ABC is in a real Mexican standoff situation. If they become too critical they will have their finding cut. To do otherwise and they will join the ranks of the shock jocks and be just another right wing bullshitter. The ABC has been heavily biased for a decade and is getting much worse. Every political commentator is compromised and the so called panels hand picked with people that support the ABC’s hard left agenda. In other words Suzanne they present things that you disagree with, hence they are biased. You are going to have to come up with better than that. From what I have seen the ABC are very balanced in what they present. They are also the only network that doesn’t rely on mind-numbing “reality” programs. What the Liberals have done over time is reduce Aunty’s ability to produce high quality local content. Now they are on the path to put in place a broadcaster that promotes right-wing garbage which is already well-catered for. Garth, please don’t try to re-write history to suit your own political leanings. The first Prime Minister to cut the ABC’s budget was Bob Hawke, followed by Paul Keating with a reduction while they were in office of around 25%. The ABC’s ability to produce high quality local content was eroded by Mark Scott’s obsession with “news” to the exclusion of almost everything else. According to the former Director of Television Kim Dalton, he raided other budgets to prop up an obese news department to the detriment of drama and children’s in particular. The new MD has a tough job overcoming that vandalism and it is going to take some time to get the ABC back to its charter obligations. Wow ABC! I am 63 and I have been watching and listening to ABC since inception (even standing for the national anthem at home and gazing at the test pattern) and never disagreed with you before! For a second before I read this reply I almost felt I had perhaps misjudged Ms Guthrie! I am shocked at the political attacks on the ABC, an enormous relief in a now dodgy and dumbed down, monopolised and corrupted cultural and news nation. Now I can see my instincts were right after all. ABC is Australia’s great treasure so is threatening for some. After two years in America I warned Australians that the ABC was not safe. People laughed at me. Now look at America. And us. Murdoch’s return has been the worst corruption for our children. The ABC has been one of our biggest assets. Honest, critical journalism is not bias. The alternative? The commercial media promoting the personal interests of the private media barons. This is not what Australian tax payers want from their ABC. Hard left agenda? You have to be joking, right, Suzanne? The ABC is, if anything, horridly neoliberal. They don’t question the status quo when it comes to the things which must change soon, such as the US and its continual dominance of third world countries via institutions such as the IMF. It doesn’t question our doomed economic system and ways of money creation and the relentless urge for continued growth. If they did that, I might start rejoicing in how far left they’ve gone. I would love to see any proof that the ABC has a hard left agenda. Given Julia Baird’s pedigree, for instance, I find hard to believe she has a hard left agenda. She does seem to be fair and balanced in her handling of panellists on the Drum. Other ABC presenters have or have had connections to the conservative side of politics. Your accusations, I believe, are baseless. The ABC has started advocating for the abolition of private property rights, the nationalisation of resources, the destruction of the class system and for workers to seize the means of production? Must be missing that between the quality news and hilarious comedies. Might have to join the Friends of the ABC now. Or buy you a book on ‘Politics 101’ and or a dictionary Suze. Might do the latter, mate. So I take it you sit so far to the right that even people like Tom Switzer (Between the Lines – Radio National) and Patricia Karvellas (one of the big stars on RN but she’s also on Fox) are left wing revolutionaries in your eyes – imposing their snowflake SJW biases and agendas on the robust and resilient right-wing, but silent, majority in Australia. I didn’t think I’d ever agree with Michelle Guthrie but I do in this case.